sign of an increasingly inward-facing world? I recently read that Preston has been named as the UK’s most improved urban area in a study by PricewaterhouseCoopers and think-tank Demos and was cheered by the fact that a town I know and love is doing well. The current increasing self-confidence and drive of enthusiasm for rejuvenation in Northern towns and cities has been a long time coming and I know from our work in Blackburn, Morecambe, Middlesbrough and Gateshead that councils and the public have grown tired of waiting for central government stimulus. The time has come for towns and cities to take the initiative and get on with things themselves. 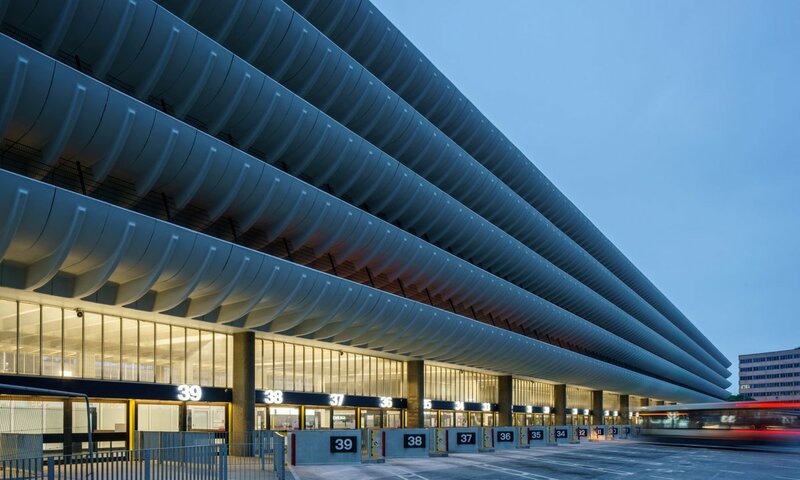 In 2011, a £700 million city-centre redevelopment plan for Preston fell through, provoking the Labour-led council to take the matter into their own hands. Rather than seeking investment from large multinationals, the council decided to follow examples of the Cleveland and Mondragon economic models and attempt to buy in all its goods and services from Preston-based firms. It was hoped that a turn towards self-sufficiency in economic terms would encourage money to be recycled locally, rather than pouring in from (and back out to) London and the South East. This shift to internal investment has seen the share of public spend in Preston rising from 5% to 18%, with an overall increase of 40% for the wider Lancashire area. As part of the overhaul, Preston council also became the first in the North to introduce a living wage for its employees, and now insists on the same provision from its suppliers. The Demos study found that this new way of operating has contributed to above-average improvements in adult and youth skills, health, transport, work-life balance and a halving of the city’s unemployment rate. The PrestonCo-operative Development Network has played a big role in facilitating this growth in local investment as well as promoting worker-owned businesses (including a new local credit union) and fighting a battle against payday lenders. Power is being grasped back by the people across all industries, with the launch of not-for-profit energy firm Fairerpower Red Rose and plans being laid out for a community-owned bank. Jeremy Corbyn and Shadow Chancellor John McDonnell have long been hailing Preston as a model for the future of UK cities. McDonnell pitches Preston as the poster town for Corbynomics, clamouring that other cities should take note from their radicalism, whilst Corbyn himself has praised the city’s “inspiring innovation”. On a personal level, I am a big believer in the incredible potential ready to be unlocked in the North as it continues to recover from the impacts of decline in industry and manufacturing that hit many areas hard over the past 30 years. HemingwayDesign recently lost out on a project in Preston as we don’t have a local office which shows that they are serious in their localism, and I’m excited to see what happens as their new approach continues to develop and projects are rolled out. Is this symptomatic of the global rise in nationalist politics? I am very much in support of self-help and taking action to make change happen, but I do have some concerns about this move. Whilst I don’t believe that the motivation behind this localism is the dangerous inward-looking attitudes that came to the forefront during the Brexit referendum, it does play into the hands of “little Englanders” and further fuels an ideological lean towards protectionism. For those in liberal politics, the word ‘nationalism’ largely brings negative connotations, but isn’t ‘localism’ an extension of the same idea? Can you be anti-nationalist but pro-local without being hypocritical? With Brazil’s new president describing immigrants as ‘the scum of the earth’, Austria firmly closing its borders with a blurred line between legal and illegal migration, and Trump’s most recent campaign ad being rejected by Facebook, NBC, CNN and even Fox News for being ‘racist’, it can feel as though the world is becoming gradually more segregated. Far from forging ties across countries and promoting cooperation and partnership, we are faced with unions falling apart and constant campaigns for regional independence. As a believer in humanity being inherently good, I am convinced that a world that collaborates, shares ideas, and learns from others is more likely to solve problems, and benefit societies in general. Could Preston’s current vibrancy dissipate as its new thinking runs out of steam? My concern is that the city ends up stranded by its self-enforced isolation and gets locked out of opportunities for innovation and progress in the future. The counter argument would be that this is in fact the first step in a long overdue rebalancing of the UK, where towns and cities that have not benefitted from the London halo effect are finally starting to flourish as they strike it out alone. The answer must surely be to approach the idea like any good balanced relationship or family; to cherish and nurture what you have but to not stifle and suffocate by being too inward-looking. We should praise small scale self-sufficiency whilst embracing international collaboration; be invested in the local whilst making sure to be a part of the bigger picture.